More car buyers are making the mistake of stretching out their payments beyond the length that personal finance experts say is prudent. An analysis by automotive publisher Edmunds.com shows the average auto loan length reached an all-time high of 69.3 months in June — up 6.8 percent from five years ago. For those of you without a calculator within reach, that's five years and nine months. It's also no surprise that Edmunds found consumers purchasing a car in June took on more debt to do so. The average financed amount hit nearly $31,000, up $631 from the month before. The average monthly payment in June was $517, no doubt why more consumers felt the need to extend the payments. "Stretching out loan terms to secure a monthly payment they're comfortable with is becoming buyers' go-to way to get the cars they want, equipped the way they want them," said Edmunds Executive Director of Industry Analysis Jessica Caldwell. But Cardwell says that's risky, and here's why: it leaves borrowers exposed to owing more for the car than the vehicle is worth. After all, a car starts losing value as soon as you drive it off the lot. Maybe that's not all that bad if you have no loss of income or other financial setbacks. But it pretty much guarantees you cannot sell the car or trade it in for a while, unless you find a dealer willing to take the loss. These days, that's getting harder to do. Meanwhile, the interest rate on car loans has come up in the last 12 months. Today, Edmunds says the average is 4.96%, up 5.7% from a year ago and up 13.6% from five years ago. It's not that all car prices are going through the roof. There are plenty of attractive vehicles in the $16,000 to $26,000 price range. Transaction prices have risen primarily because consumers have chosen expensive cars and trucks, loaded with expensive options. That's why many vehicles now cost what a condo did just a few years ago. 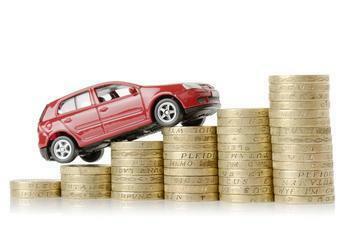 Personal finance experts advise that new or used vehicles should not be financed for longer than 60 months. Actually, 48 months -- four years -- is optimum. Buyers should also put up a healthy down payment. The resulting monthly payment should then fit comfortably into the household budget.